Dell's Going Private. Now What? After what seemed like ages of hints and feints, Dell has finally, officially reached a deal to go private. It's going to be led by its founder Michael Dell, with a financial assist from private equity firm Silver Lake and PC enthusiast Microsoft. Will it be enough to make the company—and more specifically, its products—relevant again? The iPad Age and the rise of the Mac have challenged the entire Windows ecosystem, but it's hard to think of a company that felt the sting more sharply than Dell. Once a PC juggernaut—a decade ago, it sold more computers than anyone in the world—the company's market share has faded in recent years, falling behind relative to the likes of HP and Lenovo at a time when the entire segment was collapsing under the weight of tablets. Dell has no mobile products to speak of. Its PC lineup has been competent but uninspired. It's spent the last several years, in other words, as an afterthought. 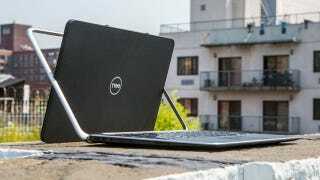 So how does a $24 billion buyout change Dell? Actually, maybe a few ways. It's an obvious truth, but one worth repeating: private companies can play the long game in a way that public companies can't. Shareholders require improvement in three month increments; savvy investors can afford to take a few losses in the short-term to build something sustainable for the future. What's that mean in Dell's case? Any number of things. The company could finally find a mobile footing. It could figure out a way to gin up revenue outside of its flagging PC business. It could aggressively restructure (read: lay people off) without quite as much scrutiny. Most of all, it can take a deep breath and start building a business again instead of constantly playing catch-up. Then again, the deal likely won't be completed until 2014. By then, it may already be too late. Microsoft has provided a $2 billion loan to the group that has proposed to take Dell private. Microsoft is committed to the long term success of the entire PC ecosystem and invests heavily in a variety of ways to build that ecosystem for the future. "We're in an industry that is constantly evolving. As always, we will continue to look for opportunities to support partners who are committed to innovating and driving business for their devices and services built on the Microsoft platform." What's that mean? First, Microsoft's money ensures that Dell won't run into the greener pastures of IT infrastructure, like some of its counterparts have. It also means that if and when Dell does enter mobile in a serious way, it will—at least in part—be through Windows Phone and Windows 8. Whether that's a help or a hinderance remains to be seen (just ask Nokia). But if any major tech company has demonstrated its ability to look at a multi-year endgame, it's Microsoft. You can bet it'll be every bit as dogged in its commitment to PCs as it was to Xbox, Bing, and Windows Phone. It's still a tricky road ahead. Dell's now burdened with debt that it hadn't been. Its founder, Michael Dell, has been back in charge of the company for years without presenting any grand vision for improvement; why start now? And as Bloomberg points out, tech companies that have gone private recently—including Avaya, SDS, and Freescale—have faltered. Dell might want to pay particular attention to those first two; they were funded by Silver Lake Partners. Just like Dell is now.